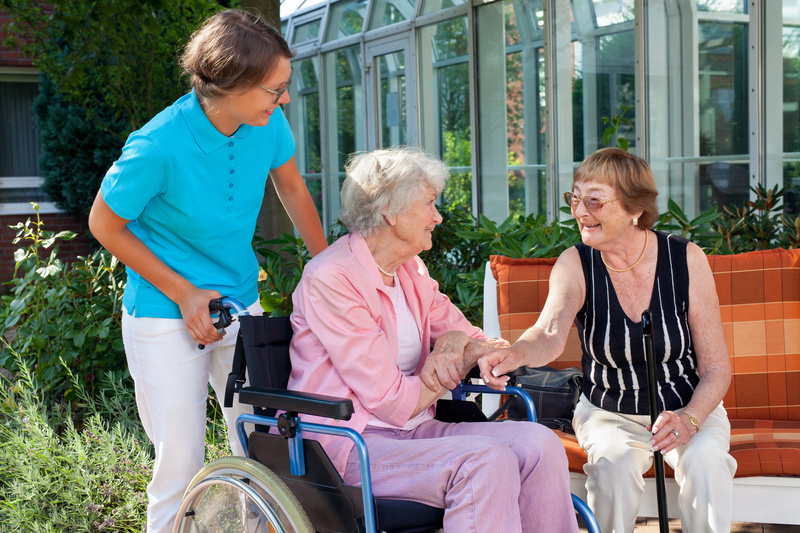 Despite the ever growing need for care, it is not easy attracting new clients to care homes. The care home resident population for those aged 65 and above has remained almost stable since 2001 with an increase of 0.3%, in spite of a growth of 11.0% in the overall population at this age (Age UK, 2016). This may be due to the increasingly common perception that care homes are a location of last resort for those with the greatest need. One of the ways you can boost business is to embrace technology, and a hearing loop can revolutionise the way residents interact with each other and your staff. Hearing loss is a major public health issue, affecting a third of over 65 year olds in the UK. With 93% of residents in nursing homes and 99% in residential homes aged over 65, this is a matter that care homes must address. It can be tricky for those with hearing loss to distinguish speech or other sound sources, even with a hearing aid. In normal mode, a hearing aid amplifies all sounds. In a care home environment this means increasing the volume of noises such as moving chairs, scraping plates, vacuum cleaners, televisions or radios and others chatting. It can all get overwhelming. The result is that residents often remove their hearing aids and then find it incredibly hard to contribute to group activities and talk to staff, with many retiring to their rooms and becoming isolated. Hearing loops improve communication by cutting out this background noise and enabling the user to hear the sound source directly. Sounds such as a speaker’s voice or the television become crystal clear. A hearing loop will not only improve the lives of current residents; it will communicate to potential residents and their families that everyone is welcome. By installing assistive listening technology at your care home, you are supporting the NICE quality standard (QS50) relating to the mental well-being in care homes and complying with the Accessible Information Standard. The 2018 revision of BS 8300: Buildings Code of Practice also lists communal areas of care homes as a place where hearing loops should be used. There are hearing loops to suit a variety of situations within your residential home. Personal loops are a viable solution for use with televisions. Sound is relayed to the hearing device with no delay via a small loop pad, placed under a seat or via a cable installed around the perimeter of the room; portable loops with a built-in microphone are perfect for one-to-one conversations; large area loops are used in areas such as communal games rooms, allowing all residents to partake in and enjoy group activities. How do residents use it? Simple. Once a loop has been installed they just need to switch their own hearing device to the “T” position. This is something that an audiologist needs to activate if they haven’t already done so. Investing in a hearing loop is a small step that could create a huge change within your care home, attracting new business and boosting communication for residents and staff. Get in touch today to find out how it could benefit your home.